The big day is looming ever closer and for those of you who aren’t as organised as myself (not gloating- promise) panic is on the horizon. 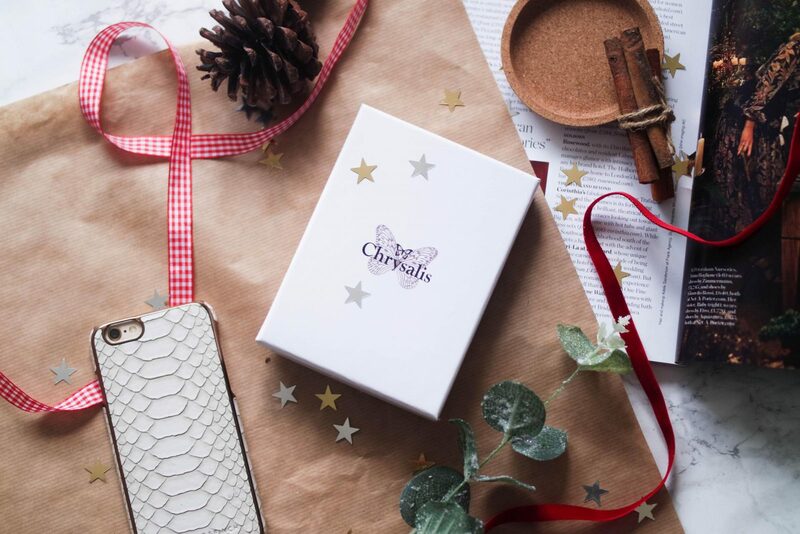 I’ve worked with Chrysalis before and when they asked me to do a post on gifting I jumped at the chance. You guys know how much I’m into all of the mindfulness shizz – I mean hello!? it’s in my blog name. And obviously we all love to receive jewellery, but it’s so much nicer when that jewellery has a meaning behind it, showing us the thought process behind the gift and giving the feeling that the gift giver really gets us! Today I wanted to share with you some ideas on Christmas gifting for her! This is the second in my Christmas gifting series and the third and final, those all important stocking fillers, will be with you shortly! Personally I think women are super easy to buy for, but men may not say the same. So if you know a man that might be struggling or you maybe want to send this to your boyfriend/husband to give him a little nudge in the right direction then be my guest! Welcome to the first of three gift guides! I am by no means a gift buying pro but I am a lover of gift giving! I love putting loads of thought into what to get someone and watching their reaction when they open up the perfect gift! I thought I would start with gifting for men which, in my opinion, is the most difficult of all. Men are hard to buy for! Here are a few suggestions based of the men in my life and things I just know will go down a treat! Abercrombie & Fitch all clearance 50-70% off – Shop here AG Jeans 30% off sitewide with code BF16 – Shop here American Eagle 40% off // 50% off all sweaters, shoes & cozy accessories – Shop here Asos 20% off everything with code GOGOGO – Shop here Avenue 32 30% off sitewide – Shop here Banana Republic 50% off sitewide – Shop here BNKR 25% off full priced items & 40% off sale items with code: SALE50 – Shop here Boden 30% off + free shipping and returns – Shop here Boohoo 50% off everything – Shop here Chicwish 25% off sitewide with code BLK25 – Shop here Coggles 30% off sitewide – Shop here Elcy Clothing 20% off sitewide with code CYBERBABE – Shop here Forever 21 21% off everything & free delivery with code CYBER16 – Shop here Forzieri up to 50% off – Shop here French Connection 30% off full priced items with code 30CYBER – Shop here H&M 50% off sale – Shop here Kurt Geiger 20% off everything – Shop here Larsson & Jennings 15% off everything sitewide with code LJ15 – Shop here Mango 20% off everything with code CYBER – Shop here Missguided 30% off sitewide with code GOGOGO 35% off for students Up to 50% off casual lines Shop here Molton Brown 20% off sitewide with code UKBF20 – Shop here MyBag 30% off sitewide with code BLACK – Shop here NA-KD 25% off everything with code BLACKWEEKEND – Shop here New Look up to 50% off sitewide – Shop here Office 20% off & free delivery with code WONDER – Shop here Public Desire 30% off with code CYBERSALE – Shop here Revolve Clothing Up to 65% off – Shop here River Island 20% off and free worldwide delivery with code SOFA16 – Shop here Style.com 20% off with code STYLE20 – Shop here Topshop Up to 50% off selected items – Shop here Zalando Save an extra 25% off all reduced items – Shop here I’m going to start filming for Youtube again! My first video will be a Black Friday Haul so make sure you subscribe to my channel so you don’t miss out!!! Every Black Friday I’m awoken by a flurry of emails from each store telling me why their black Friday deal’s the best. I then spend the rest of my day clicking back and forth and finding where to get the best bargains whilst more appear every hour! It’s an amazing opportunity to get all of your christmas gifts, stock up on basics, investment pieces and invest in any electricals you’ve been eyeing up for a while! Seen as every shop and his mother is holding some kind of Black Friday shopping event, I’ve put together a little shopping directory, a black friday shopping bible if you will! Listing all of the shops participating and what the offer is along with any discount codes you need to use and of course a direct link to the site . . . you can thank me later!